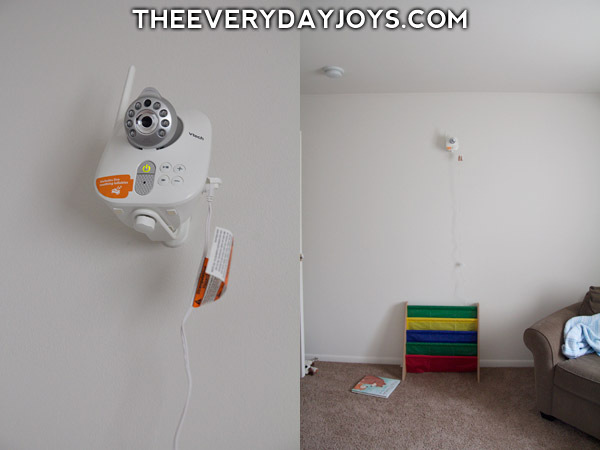 The baby monitor we had from day one with Ethan was one that was given to us for free. It was brand new, and we liked it. It was audio only, and I was okay with that. I didn't feel the need to watch my child's every move on a video monitor. Split screen viewing system supports up to four total cameras to be viewed from one parent unit. When Gabe comes, and we have a house (where he has his own room), we will be purchasing a second camera. Handy! Talk-back intercom and lullabies help soothe your baby! Electronic sensor tracks temperature of room. Wall-mountable camera with swivel, tilt, and zoom. 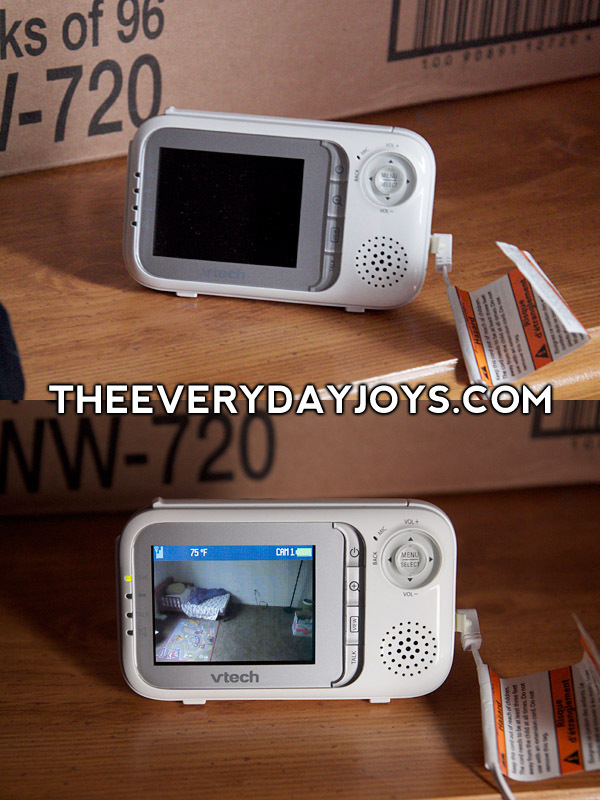 Infrared LED view your baby at night without disturbing them. 1,000 feet of range with superior digital transmission. Note: I was sent this video monitor for review, free of charge, but it absolutely was the monitor we chose above all the others we'd checked into, and the opinions I've expressed here in this post are my own genuine, honest opinions. We love this monitor! Originally published on 2013-03-12 by Laura at The Everyday Joys .